Part of running a successful business is making sure your information and the medium it’s stored on is secure. So, finding a dependable data services provider is a must. 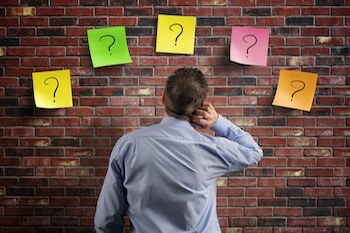 In this blog, we offer five critical questions to ask a data services provider. 1. Is my media stored in a climate-controlled facility? Excessive heat/cold, moisture/dryness, dust and dirt particles can damage or destroy your storage media. The key to preserving your media—and ultimately, your data—is to store and transport it in optimal atmospheric conditions. Choose a data service provider with a climate-controlled media storage facility and a transport process designed to safeguard your data from physical damage as well as theft. 2. Who has access to my critical data? Stringent security standards should be applied to protect your data from unauthorized access. Assess your data service provider’s employee screening practices. Each person handling and transporting your data should be background checked, professionally trained, and required to sign a confidentiality agreement. 3. How do you manage my media? 4. Do you offer media destruction services? When your media reaches the end of its useful life, it should be destroyed. Partner with a data services provider who can protect your media during retention and destroy it properly when it reaches it a final disposition date. 5. Can you help me with other privacy services? Not every data service provider can help your business reduce the risk of a data breach, and even fewer can help your business in the event of an actual or suspected breach. You want a data service provider that reduces your risk and in case a breach does happen, takes the hassle out of reporting the loss of personally identifiable information (PII) to an ever-increasing number of authorities. If you want to reduce your breach exposure and comply with state and federal privacy regulations, select a data service provider who assesses your risk profile and provides the resources your organization needs to stay compliant. For more tips on choosing a trustworthy data services provider, please contact us by phone or complete the form on this page. DeVries Business Services proudly serves businesses in Spokane, Eastern Washington, and Northern Idaho.